I read with serious concern the announcement made by the Delegation of the European Union to the United Nations and the Permanent Mission of the United Nations to co-host a panel discussion on the current situation in Cambodia with theme “Devolution of Democracy in Cambodia”, which will be held today at the US Mission to the United Nations in New York. “With the Cambodian national election coming in June 2018, it is important to ensure that the fundamental rights of freedom of assembly, freedom of association and of the press be upheld and that genuine competition in a multi-party democracy be seen as the necessity that it is,” read the announcement. Firstly, Cambodia will organise the national election in July 29, 2018, and not June 2018 as mentioned in the announcement. It shows that the Delegation of the European Union to the United Nations and the Permanent Mission of the United States to the UN don’t know what its happenhappening exactly in Cambodia to the extent they don’t even even know the correct date of Cambodia’s national election., they don’t know. Secondly, only panelists from the now outlawed opposition side will be allowed to speak on behalf of Cambodia, without the voice from representatives of the Royal Government of Cambodia. It looks like the EU and US use the opposition to attack, and criticise Cambodia’s government without any and notchecks and balance. 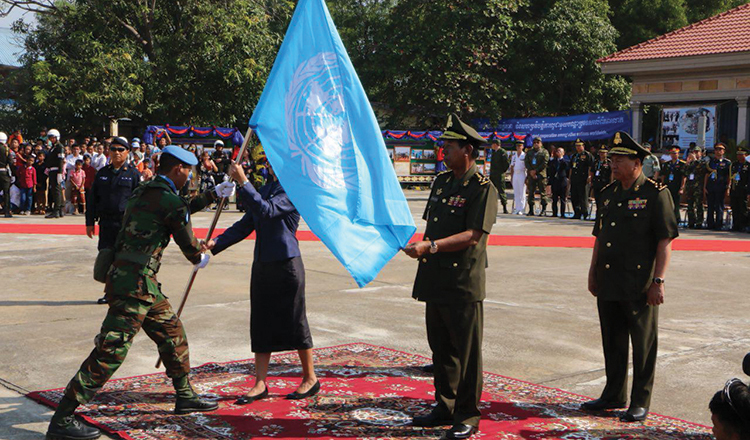 Thirdly, the discussion organised by the Delegation of the European Union to the United Nations and the Permanent Mission of the United States to the UN is intended to interfere in internal affairs and the implementation of rules of law of Cambodia and, to support the dissolved CNRP, which was dissolved by the Supreme Court on November 16, 2016, based on sufficient and adequate evidence of conspiracy with a foreign power to topple a legitimate government. Its it as fair expression of goodwill in having this lopsided co-host a discussion with panelists from the EU and US? Definitely not. It isjust maybe a kind of mission to save their face and save the political life of their puppets after the failed the“colour revolution” in Cambodia – ,secret planning to shut down a legal regime and against Prime Minister Hun Sen, who has been for long serving the interest of the Cambodian people, bringing peace, stability and development for Cambodia. I noticed that this effort in faceto saving face ofby big powers and institutions are being made by allchannel of delegations from ofthe EU and US from Cambodia to the United Nations. Why do they do so? Are they the parent of this democratic rebellion? When I read this announcement again and again, it surprisedmake me surpriseto learn that the EU and US – ,so called champions of democracy and human rights and the rules of law are violating the charters of the United Nations to interfere in the internal affairs of Cambodia and in not only supporting but also , encouraginge the traitors to destroy our country. Cambodia is aState member state of the United Nations since 1955 and Cambodia has always respected the independence, integrity and sovereignty of other states. Cambodia is a sovereign country. This sovereignty must be fully respected. 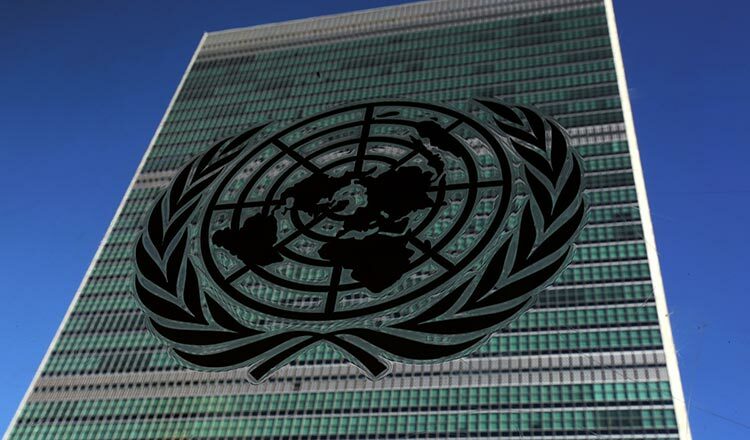 The UN Charter clearly stipulates that no state has the right to intervene directly or indirectly for any reason whatsoever in the domestic affairs or in matters affecting the territorial integrity or political independence of any State (art. 2.4, 2.7). The Asean Charter establishes the non-interference in the internal affairs of its member states as a basic principle (art. 2, 2(e)). 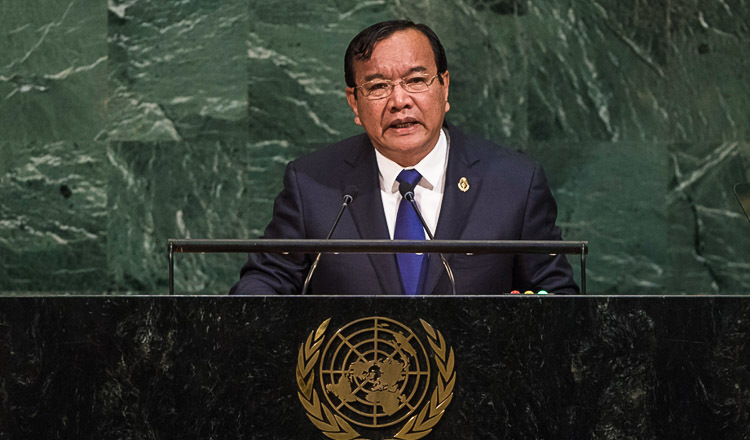 Under the Agreement Concerning the Sovereignty, Independence, Territorial Integrity and Inviolability, Neutrality and National Unity of Cambodia, which forms part of the Comprehensive Cambodian Peace Agreement commonly referred to as the Paris Agreement, the 18 signatoryies States have the specific duty “to refrain from interference in any form whatsoever, whether direct or indirect, in the internal affairs of Cambodia” (art.2,2). Cambodia, where I am living, is completely different from the Cambodia that you heard from the mouths of the opposition and some media. Cambodia has been submerged, months after months, years after years, by reports from opposition media, biased NGOs and misinformed institutions, which twisted historical facts and events in an attempt to portray a negative image of Cambodia and to lay the blame on the government. Cambodia is now enjoying full peace and development for almost 20 years. Within such a short period of peaceful time, Cambodia has persevered in its efforts to strengthen its state capacity, to provide better livelihood and prosperity for its people and to ensure a smooth and peaceful transition toward full democratiastion. 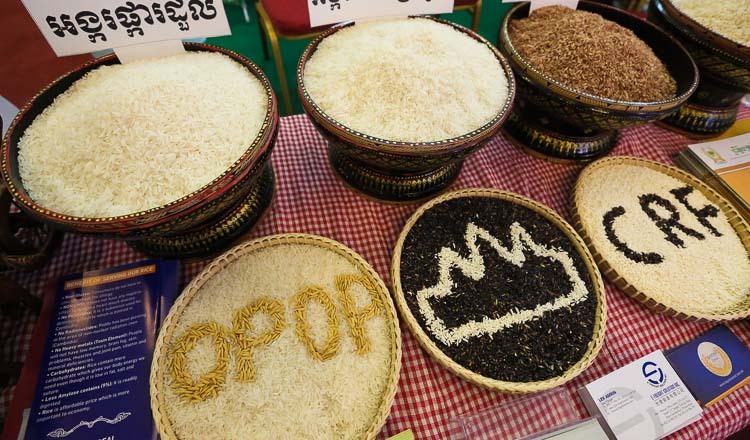 To maintaining Cambodia’s stability and peaceful democratisation is inof Cambodia’s utmost interest. Cambodia neither wants to create problems for the world again nor does it want to flood hundreds of thousands of its refugees to Europe and the US, which are currently trying toclose shut their doors to the massive influx of refugees, all victims of the “colour revolutions” and “forced regime changes”, both of which constantly projected portrayed as done in the name of “human rights and democracy”. Constant blaming, criticisms, isolation, threats of market closure and sanctions are not conducive forto the search of any solution. The West should assist Cambodia in tofinding solutions for a peaceful democratisation process based on mutual respect and understanding. Instead of undermining the government’s efforts to promote democracy based on the rule of law, foreign governments and institutions alike who chose to place blame on the legitimate institutions should encourage instead the opposition parties to respect the constitution, to adhere to democratic principles, to behave in a more civilised political manners and to engage in policy dialogues rather than pursuing irresponsible populism, stirring racial hatred, inciting social unrest and defaming people. The EU and US support opposition forces against the Cambodian’ government and still recognise the dissolvedparty CNRP. I support the position of the Royal Government of Cambodia, particularly ractically Prime Minister Hun Sen’s position to ask these some western countries to choose a relationship with only an individual group of people or with Cambodia as a whole. “Are you choosing a group of people or 15 million people? Are you choosing to be in contact with a group of people or the country as a whole?” asked Prime Minister Hun Sen.
Prime Minister Hun Sen said he was not worried about potential EU sanctions. PM Hun Sen said he refused to bow his head and follow foreigners in order to receive their assistance. Some foreign countries are violating Cambodia’s sovereignty and Cambodia’sinternal affairs. He reiterated that Cambodia will not comply with foreign orders, Cambodia is independent. And, what Cambodian people want is all countries and institutions tomust respect the independence, integrity and sovereignty of the Kingdom of Cambodia, with nomore political interference in its internal affairs. We appeal to the Delegation of the European Union to the United Nations and the Permanent Mission of the United States to the UN to cancel this discussion and respect fully the sovereignty of Cambodia. 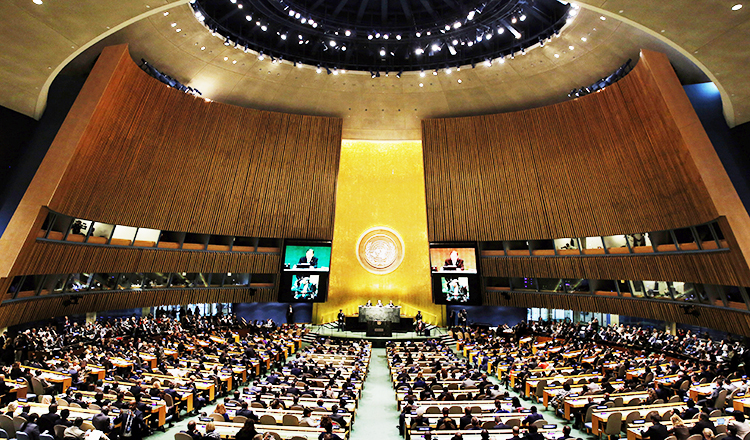 The actions taken by EU and US don’t apply to the impartiality and don’t comply with the UN Charter. Please don’t interfere in the internal affairs of Cambodia! Cambodia’s problem, Cambodia’s resolution.